German chancellor Angela Merkel has been awarded a prize for her migration policy during the refugee influx in 2015, raising a few eyebrows among some politicians and people on social media. The prize hailed Merkel’s “civil courage” over her handling of the refugee influx into the EU and Germany in particular. Winfried Kretschmann, the head of the German Federal State of Baden-Wuertemberg where Merkel received the award, hailed her policy in 2015 as “a sign of humanitarian attitude.” Yet, he added, those migrants who did not require protection or came “for other reasons” should be sent back home to not “overburden” German society. "It requires a lot of ignorance to consider the course of Chancellor Merkel in 2015 as correct. 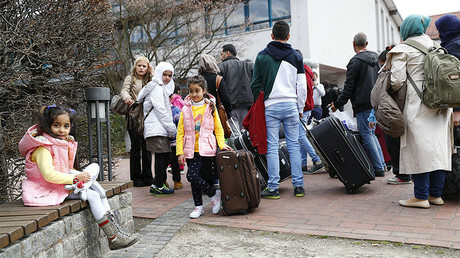 With the uncontrolled admission of hundreds of thousands of people from safe third countries, the Federal Government ignored European law and made it difficult to resolve the refugee crisis at the European level," he said as quoted by the FAZ. Some people on social media echoed the criticism. “I am speechless: In Baden Wuertemberg Merkel is honored for the refugee policy. No joke. Intangible,” a tweet said. "Merkel receives a Eugen-Bolz-Prize for an ‘asylum policy’ that threatens the whole of Germany. #ridiculous,” another person wrote. One more compared the prize with former US President Barack Obama receiving Nobel Peace Prize shortly after taking the oval office. “One can give up on that, it’s like the Obama Nobel Peace Prize,” the tweet said, apparently hinting at the split reaction on the decision to grant Obama the award back in 2009. In September last year, the German chancellor admitted that her notorious “we can do it” motto has become “an empty formula” which was not necessary to repeat. The slogan was Merkel’s frequent fall back position during the influx encapsulating Germany’s capacity to host the overwhelming number of refugees streaming into the country at the time. 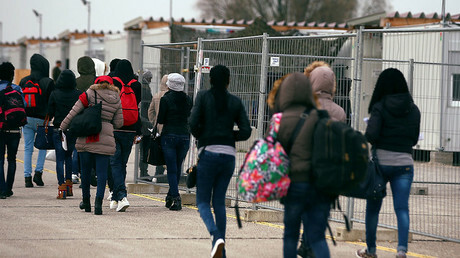 It is estimated that Germany took in up to 900,000 refugees in 2015 under Merkel’s ‘open door policy’ and spurred repeated protests among the public and considerably boosted the popularity for the right-wing AfD party. The unease over the migrant issue has been heightened by several terror attacks committed by migrants in summer last year. In two instances, the perpetrators pledged allegiance to Islamic State (IS, formerly ISIS/ISIL). And in December, a Tunisian refugee rammed a stolen truck into a crowded Christmas market in Berlin killing 12 people and injuring dozens.